EAYURVEDA.ORG आयुर्वेद: Misquoted verses of Vedas and upanishad regarding meat eating. 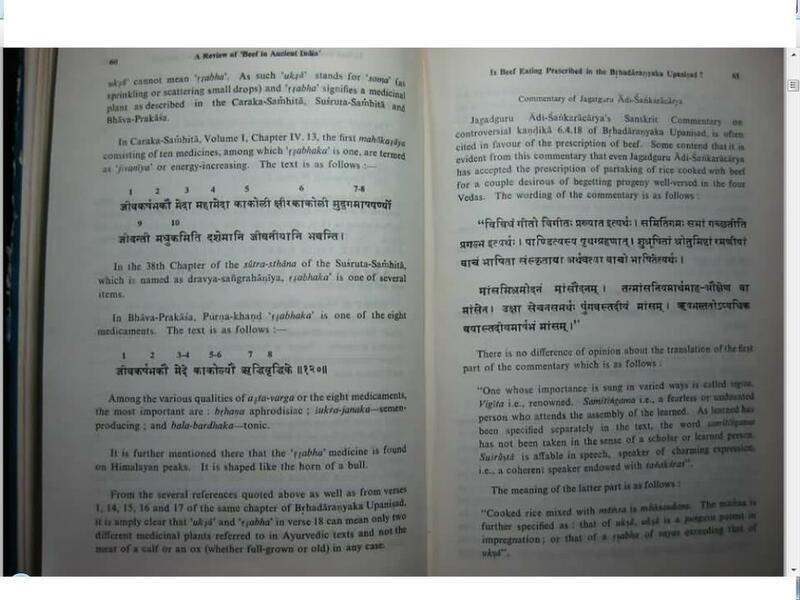 in sanskrit and they are translated Our scriptures without having knowledge and understanding of Sanskrit. This is their cunningness and I have seen that many of Indian scholars also use these translations in their sites. These translators are Griffith, wilson etc. In which Griffth is most famous on internet. Query: “Indra says theat, because, Indra was in desperate condition, therefore he cooked intestines of a dog. Answer : First thing is that there is nothing like Book, Hymn or verse. 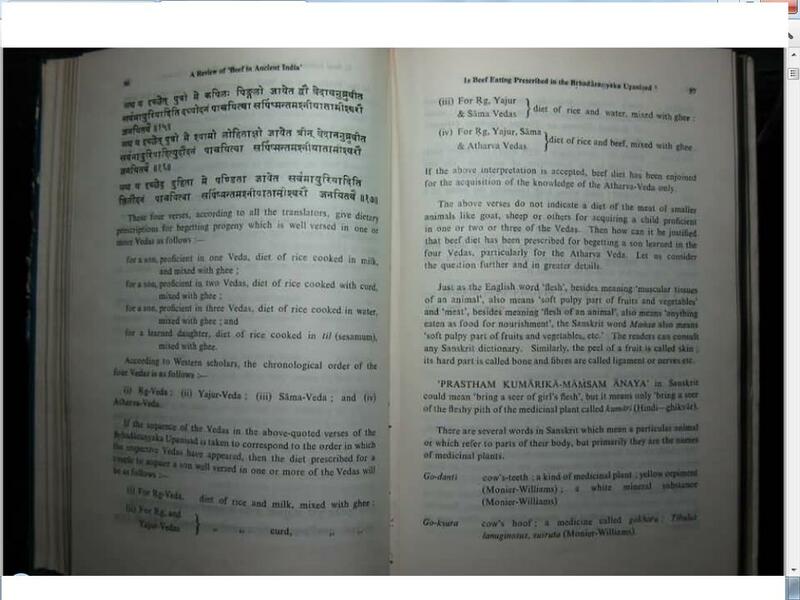 For Rig Ved Foreign Translators used Book for Mandal, Hymn for Sukta and Verse for Mantra. From this you can understand the condition what they have made with their translation. Griffth Translation: In deep distress I cooked a dog’s intestines. Among the Gods I found not one to comfort. My consort I beheld in degradation. The Falcon then brought me the pleasant Soma. to be happy. likely dog is used mainly as svaan not suna. your teacher says to you digest your syllabus. deveṣu means indriya i.e senses. 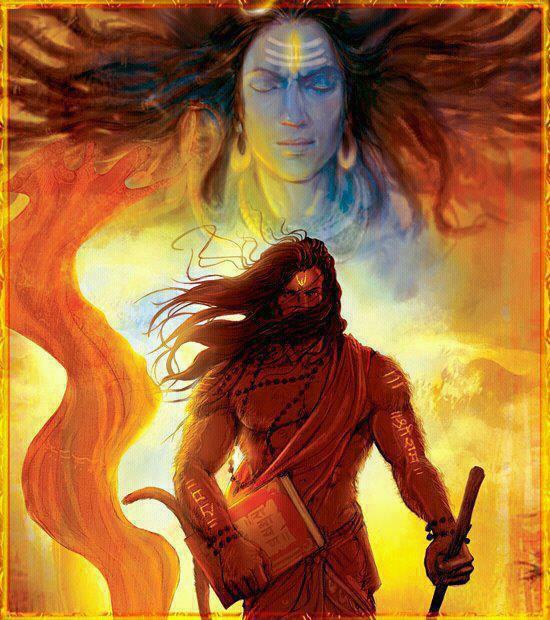 marḍitāram means the one that gives happines. na Vivede means not found. syeno means Ishwar in form of Gyan or knowledge. Hrishi is saying I digest or mature all modes of knowledge of God to become happy and free from cycle of life and death. In between my senses I do not found anyone to provide happiness or pleasure. I do not saw Prakriti as same as God. Ishwar in the form of Knowledge gives me sweetest BrahmGyan. So will the Bold One, eager to attack thee with fierce glow fail to girdle and consume thee. net tva paryaṅkhayāte means do not cover you, do not punish you. not punish you and burn your opposite sins. Query: “A ritual enveloping dead body with Cow’s flesh before putting it on fire”. Forbear, O Agni, to upset this ladle: the Gods and they who merit Soma love it. This ladle, this which serves the Gods to drink from, in this the Immortal Deities rejoice them. 1 send afar flesh eating Agni, bearing off stains may he depart to Yama’s subjects. But let this other Jatavedas carry oblation to the Gods, for he is skilful. While looking on this other Jatavedas. Let him light flames in the supreme assembly. Now not giving word by word Translation I am giving you full translation of these Mantras. You wear defensible shield, cloths etc from the auspicious voice of knowledgeable person or Guru and cover properly yourself with nutrient and loving body layer. So that the fire created by rubbing like Guru to be very happy or to be very hard will not punish you and burn your opposite sins. is loving to the one who give knowledge and Money and parents of disciple like son.all the wise persons and old man are happy on the one who is calm like receptacle humble person, he is preserver of wise persons and drink nectar of knowledge. wild animals and even death from myself and wicked persons should go to man of law savior King. Cruel meat eater who are like anguish giver as Agni should not come to my home in the dress of wise person. Householders should go to BrahamGyani person and not go to person who feed on money. because they are like wolf and fire of cemetery or Shamshyan. Griffith Translation : The bridal pomp of Surya, which Savitar started, moved along. In Magha days are oxen slain, in Arjuris they wed the bride. Devta of this mantra 10/85/13 is “SURYA VIVAHA” So, this mantra relates to marriage. Mantra asks as to why the marriage is performed .Though, the marriage is performed for maintaining number of good qualities but in this mantra, it is stated that marriage is performed to obtain sons. So, how why and under whose influence/pressure Mr. D. N. Jha has stated to slaughter the cow on the pious occasion of marriage is not understood. Mr. D. N. Jha’s interpretation of Rigveda Mantra 10/86/14 underlines practice of eating beef, which is absolutely wrong according to Vedas. Devta of this Sukta is ‘VARUNN’ the above mantra relates to the knowledge of celestial bodies/comprising of planets, stars etc. So it has no concern with eating beef or any non-vegetarian food. SOORYAAYAA VAHATUHU PRAAGAAT SAVITA YAMAVAASRIJAT. The mantra states that in winter, the rays of sun get weakened and then get strong again in spring. winter regain its health in spring? This amply proves how ignorant and biased communists malign Vedas. Mother whose love is quickly wibn, I say what verily will be. My,breast, O Mother, and my head and both my hips seem quivering. Supreme is Indra over all. I am not explaining this Mantra. “He who wishes, “May as son born to me, who will e a reputed scholar, attend assemblies, speak words that one likes to hear, be versed in all the Vedas and attain full longevity” Should have rice cooked with beef that of a young mature bull and with his wife eat it mixed with ghee. Then they will be able to produce such a son. Let us take Mansodanam first. 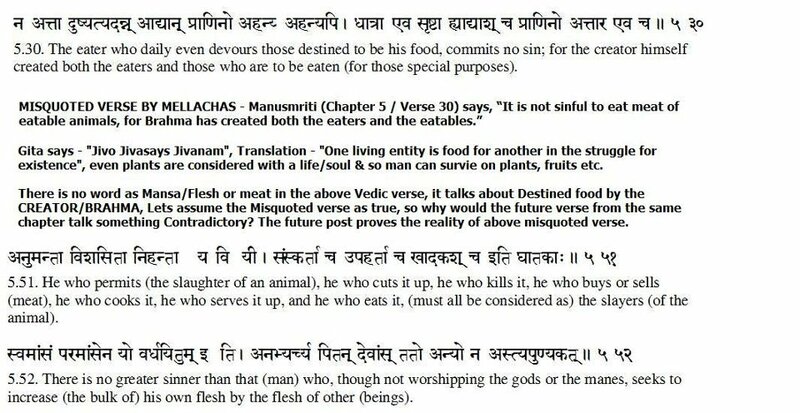 There are 4 more verses just before this verse that recommend eating particular edibles with rice for having a child with Vedic wisdom of different types. The other edibles are: Ksheerodanam (Milk with rice), Dadhyodanam (Yogurt with rice), Water with rice and Tila (a pulse) with rice for experts in other Vedas. Thus it is ONLY for mastery of Atharvaveda that Mansodanam or meat with rice is recommended. This itself shows that the particular reference is an anomaly. In reality, the right word is Mashodanam and NOT Mansodanam. Masha means a kind of pulse. Hence there is nothing fleshy about it. In fact, for pregnant women, meat is completely prohibited as per Ayurveda. Refer Sushruta Samhita. There is also a verse in Sushrut Samhita that recommends Masha for husband and wife for a good son. 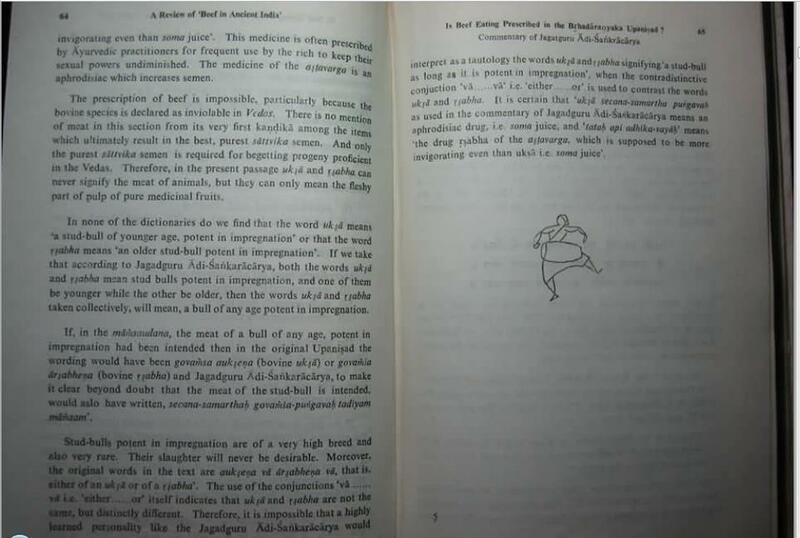 Thus it is obvious that Brihadaranyaka has also explained the same concept as elucidated in Sushruta Samhita. There is no reason why the two texts would differ in Masha and Mansa. Even if someone asserts that it is not Masha but Mansa, still Mansa means pulp and not necessarily meat. There are ample usages of Mansa as pulp in ancient texts. Thus Amramansam means pulp of mango. Khajuramansam means pulp of date. Refer Charak Samhita for such examples. Taittriya Samhita 2.32.8 uses Mansa for curd, honey and corn. The fact is that Uksha refers to a medicinal herb, also known as Soma. Even someone like Monier Williams in his Sanskrit-English Dictionary states the same. Vashaa refers to controlling powers of God and not a barren cow. If Vasha is used to mean a barren cow, then many Vedic verses will make no sense. 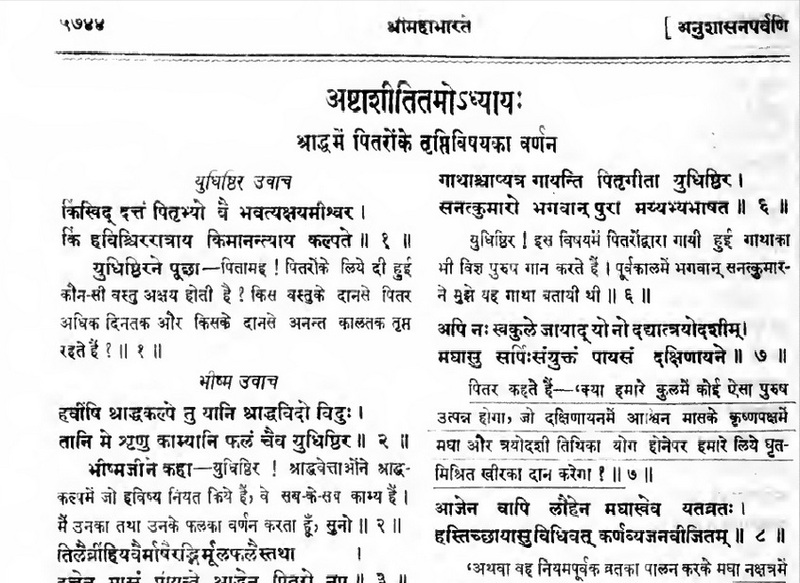 For example, Atharvaveda 10.10.4 uses Sahasradhara or Thousand flows in relation with Vasha. How can a barren cow be compared with Sahasradhara used to denote ample food, milk and water. Atharvaveda 10.190 states that Vashi means controlling power of God and is recited twice daily in Vedic Sandhya. In other verses, Vashaa is used also as productive land or a good wife with children (Atharvaveda 20.103.15) or a medicinal herb. Monier Williams also uses the word to mean a herb in his dictionary. Uksha means a herb or Soma, even as per Monier Williams Dictionary. The same dictionary also lists Rishabh (from which Arshabh is derived) to mean a kind of medicinal plant (Carpopogan pruriens). 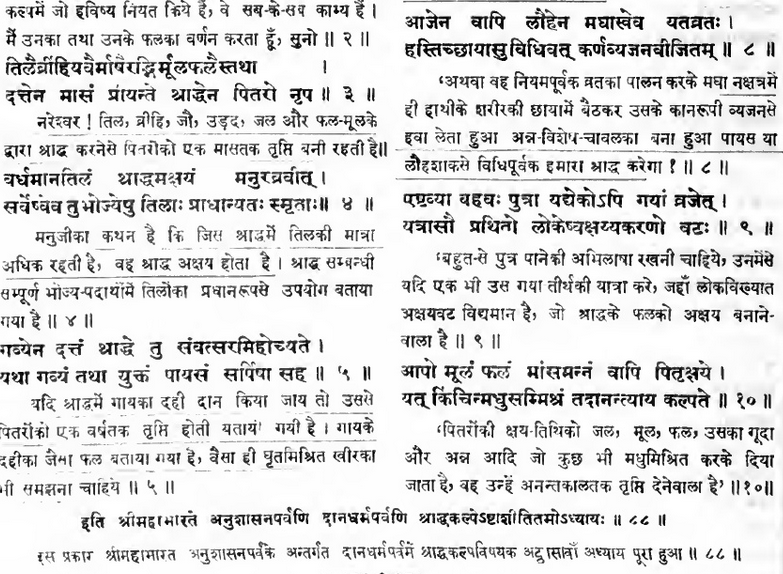 Charak Samhita 1.4-13 lists Rishabh as a medicinal plant. Same is mentioned in Sushrut Samhita 38 and Bhavaprakash Purna Khanda. The word Mansodan is misquoted its Manshodhan which means purify Mind. Uksha means Herb of Somaras. 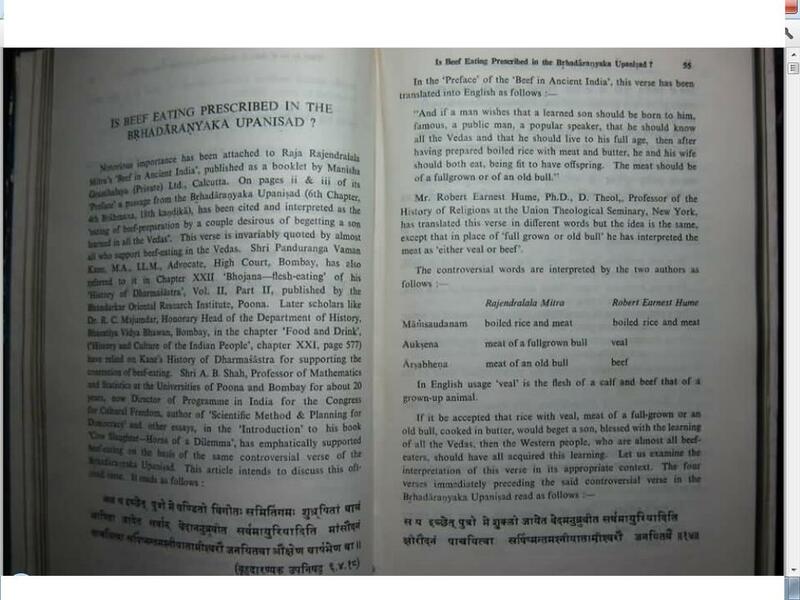 Ox is called Vrishabh in sanskrit not Uksha. The quote simply means Rice mixed with herbs purify our mind. The eater who daily even devours those destined to be his food, commits no sin; for the creator himself created both the eaters and those who are to be eaten (for those special purposes). We know one living entity is dependent on another. This vesre is for all living entity that eats other animals for living not for human. That is what we can see and that is what Vedas tell us jive jivese Bhojnam now we could easily use this as a licence to kill and enjoy and contrast this with thou shall not kill in the bible and yet we see the opposite, why, because we follow the higher doctrine of ahimsa. ‘The consumption of meat is prohibited for yajnas,’ that is declared to be a rule made by the Gods; but to persist (in using it) on occasions is said to be a proceeding worthy of Rakshasas. And then if we read further which our friend deliberately remains ignorant about for obvious reasons, makes it abundantly clear what we human should not eat. 48. Meat can never be obtained without injury to living creatures, and injury to sentient beings is detrimental to (the attainment of) heavenly bliss; let him therefore shun (the use of) meat. 49. Having well considered the (disgusting) origin of flesh and the (cruelty of) fettering and slaying corporeal beings, let him entirely abstain from eating flesh. 50. He who, disregarding the rule (given above), does not eat meat like a Pisaka, becomes dear to men, and will not be tormented by diseases. 51. He who permits (the slaughter of an animal), he who cuts it up, he who kills it, he who buys or sells (meat), he who cooks it, he who serves it up, and he who eats it, (must all be considered as) the slayers (of the animal). 52. There is no greater sinner than that (man) who, though not worshipping the gods or the manes, seeks to increase (the bulk of) his own flesh by the flesh of other (beings). 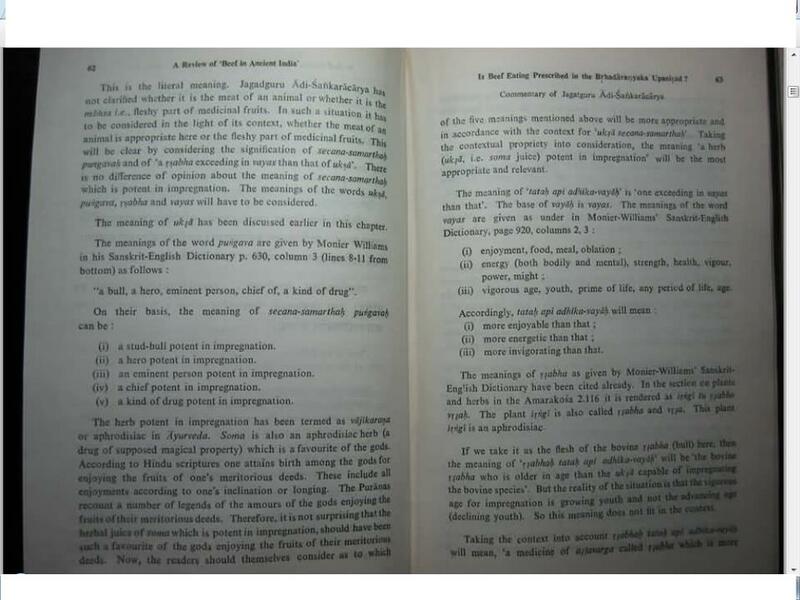 Moreover, you would come accross some reference from adulterated Manusmriti, containing Violence against animals These are additional shlokas are either from adulterated Manu Smriti or misinterpreted by twisting of words. I recommend them to read Manu Smriti by Dr Surendra Kumar. Svayambhu (the Self-existent) himself created beasts for the sake of sacrifices; sacrifices (have been instituted) for the good of this whole (world); hence the slaughtering (of beasts) for sacrifices is not slaughtering (in the ordinary sense of the word). point to be look at in this verse is that sacrifice is not for eating. Manu is talinkg about Beasts which become threat to mankind i.e man eater Tiger, lion etc. Killing them with the purpose of saving life is not slaughtering but the sacrifice. “Bhishma said, “Listen to me, O Yudhishthira, what those Havis are which persons conversant with the rituals of the Shraddha (the ceremony of dead) regard as suitable in view of Shraddha and what the fruits are that attach to each. With sesame seeds and rice and barely and Masha and water and roots and fruits, if given at Shraddhas, the pitris, O king, remain gratified for the period of a month. With fishes offered at Shraddhas, the pitris remain gratified for a period of two months. With the mutton they remain gratified for three months and with the hare for four months, with the flesh of the goat for five months, with the bacon (meat of pig) for six months, and with the flesh of birds for seven. With venison obtained from those deer that are called Prishata, they remaingratified for eight months, and with that obtained from the Ruru for nine months, and with the meat of Gavaya for ten months, With the meat of the bufffalo their gratification lasts for eleven months. With beef presented at the Shraddha, their gratification, it is said , lasts for a full year. Payasa mixed with ghee is as much acceptable to the pitris as beef. With the meat of Vadhrinasa (a large bull) the gratification of pitris lasts for twelve years. The flesh of rhinoceros, offered to the pitris on anniversaries of the lunar days on which they died, becomes inexhaustible. The potherb called Kalaska, the petals of kanchana flower, and meat of (red) goat also, thus offered, prove inexhaustible. So but natural if you want to keep your ancestors satisfied forever, you should serve them the meat of red goat. beef but it is saying about cows in donation and to give curd, cow milk and grains to eat. 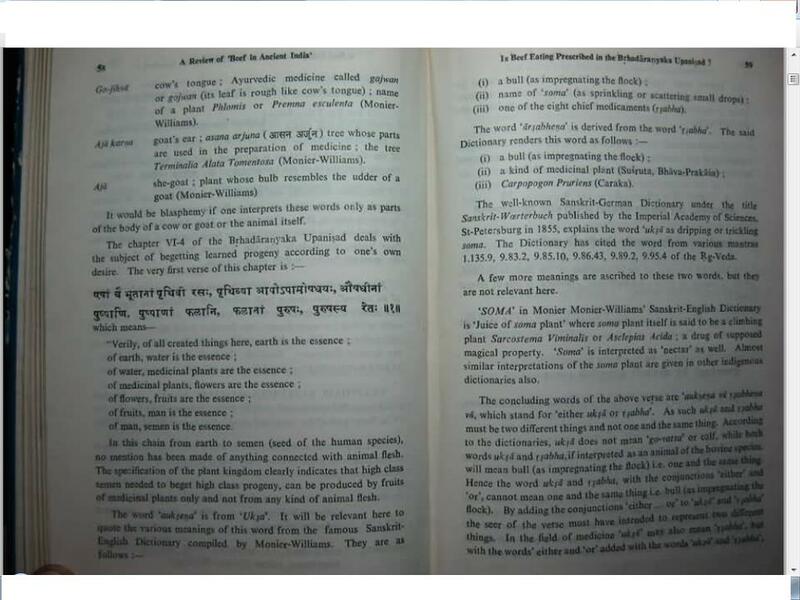 I am giving whole chapter here in Sanskrit Translated to Hindi. also established Vishistadvaita Siddhanta (incarnation of AdisEsha). vedanta (incarnation of Sudarshana Chakra of Lord Vishnu). established (incarnation of Agni deva). These prophets are called prophets because if you read their history it is given that God ordained them to *incarnate* on the earth for uplifting us and enlightening on topics that people were confused. 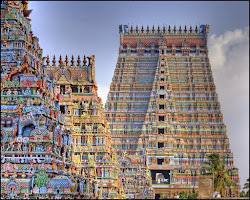 There are many instances in which demigods or absolute God have incarnated on earth and summarized the Hindu religion. You should read their commentaries first. I or you can write commentaries on Vedas, Puranas but it is not authorized one. There are many great people who are subject to illusions and they have done small mistakes. Take for eg: Gandhiji. He is called mahatma but there are many controversies connected to it which many people refuse to be accept as true. I will not go into detail whether those allegations are true or not. When a sanskrit word ‘go’ is used in Sanskrit it has many meaning. It also has meaning called earth, river, etc. Also the word ‘offering’ doesn’t mean throwing it into fire. That is why we have depend less on translations done by non-prophets. SUGAR -WHITE POISON- USE "JAGGARY"-"GUR"